Tom Wolf reaffirmed his lead in the latest Franklin & Marshall poll in the Democratic primary for governor, taking 33% – 26 points more than his closest opponent. Rep. Allyson Schwartz earned 7%, State Treasurer Rob McCord took 6% and former DEP Secretary Katie McGinty won 4%. These numbers reflect the opinions of registered voters, but the lead becomes even more substantial for Wolf among ‘Super Voters.’ Wolf takes 38% among this crowd, McCord takes 9%, Schwartz has 6% and McGinty takes 2%. Super Voters are the most likely to vote in the Democratic primary, but 40% of the group are still undecided. Wolf’s lead is consistent across demographic crosstabs including education, ideology, gender and age. The registered voter numbers from the March poll shows a 3 point drop for Wolf and a 2 point drop for Schwartz since the February poll from Franklin & Marshall; but a 3 point gains for McCord and McGinty,. At that point just under three months away from the election, 48% of voters surveyed said they were still undecided about their pick in the Democratic primary. In the latest poll, 46% of registered voters remain undecided. Like in February, F&M examined the ubiquity of campaign ads. In February, 65% of registered Democrats had seen a television commercial for governor, and almost all (88%) of these respondents had seen a Wolf advertisement. By the end of March, 71% of registered Democrats had seen at least one campaign advertisement on television; 85% of those had seen a Wolf ad, 42% had seen a McCord ad, and 39% reported seeing a McGinty ad. Schwartz has yet to begin a media buy. The poll also looked at the favorability of each of the candidates; like in every other aspect of the poll, Wolf stood out above the rest with a 44% approval score, compared to 3% unfavorable, 11% undecided and 41% who don’t know. Schwartz, again, comes in second with 25% favorable, 6% unfavorable, 10% undecided and 60% who don’t know. McCord is next; 16% favorable, 2% unfavorable, 11% undecided and 71% who don’t know. Then McGinty with 14% favorable, 3% unfavorable and 83% who don’t know. This survey reflects interviews with 524 Pennsylvania registered Democratic voters conducted by the Center for Opinion Research at Franklin & Marshall College from March 25-31, 2014 (sample error of +/- 4.3 percentage points). The Franklin & Marshall College Poll is produced in conjunction with the Philadelphia Daily News, WGAL-TV (South Central PA), Pittsburgh Tribune Review, WTAE-TV (Pittsburgh), WPVI-TV6/ABC (Philadelphia), Times-Shamrock Newspapers, Harrisburg Patriot-News, and Lancaster Newspapers. @reasonable Rep looks like your wrong again.keep doing what you do best.picking losers ,and being a political hack. They wrote a song about Corbett. All I do is win win win. Did Corbett file as many as all the Dem candidates combined? Because, come November, Wolf (or McCord) will have the combined ground game of all the Dem candidates plus the state party and all committees that failed to reach a consensus for a primary endorsement. Corbett would lose if the Dem ticket had “Not-Corbett” as the listed candidate. Corbett easy over all these Libs. I’m not one that follows polls or trust them. I do support Wolf and if that poll is accurate then thats great news for him. I do think to win the race the person will need 38%-40% of the votes. Wolf is running a positive campaign and was smart to get himself out there first with commercials, video’s and mailers. I like the fact he mainly talking about himself, who he is and what he wants to do. He is not really bashing Corbett or other candidates or playing dirty. For his first campaign I think he is doing a great job and being postive. I like that he has business experience, cares about his employees, cares about his community and he does have a little government experience. Which he didn’t take all the benefits like others do. I think he can beat Corbett and will beat Corbett. Vote Wolf!!! Me again – How many did Corbett file? Bad argument. LOL Looking at labor and activist organizations is a better tell. Everyone from Action United to the PSEA has backed McCord. Google Corbett attack ad links Onorato to Rendell. I’m sure something will come up. Anyone who thinks this is a slam dunk for the D’s is delusional. As for ground game, let’s not overlook the fact that Wolf and McCord each filed a near identical number of petition signatures with both above 12,000. To date, that has been the best measure of ground game and it looks pretty even. The F&M polls don’t push the respondents hard enough to get a response. This is the only poll with undecideds anywhere close to 46%. The slight changes in the numbers from the last F&M poll are all within the margin of error. 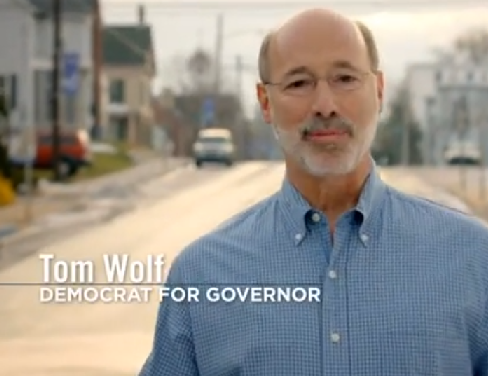 At this point this race is Tom Wolf’s to lose. Barring a complete meltdown from a campaign/candidate that has made very few mistakes to date it looks like Wolf will be the Democratic nominee. Don’t worry. Your hopes of being wrong will be fulfilled. Rendell is WAY more popular than Corbett, so associating Wolf with Rendell is a waste of time. Besides, Corbett’s complete sell-out to oil/gas and privatizers, and along with cuts to education have doomed him. Even if voters believed any negative ad against Wolf that he “might” be a bad governor, they already KNOW that Corbett is a terrible governor. Corbett will be such a drag on the November ticket, that it would be political malpractice if every Dem running for legislature failed to tie their GOP opponents to Corbett. Robbie you can’t say he is not an insider and special interest. Allow me to play devil’s advocate for a minute on why Wolf makes a poor nominee for the general. I’ll leave alone that he supported the guys Corbett put in jail and the pay raise vote they supported that he has bashed. Just his over a quarter of a million dollars in donations to Rendell before he was appointed revenue secretary (and subsequently supported tax increases) should raise some eyebrows. Especially in the all important west where Rendell is not very popular. Couple that with the fact that his manufacturing ads are misleading and you have a very vulnerable guy in the general. People are assuming Wolf is a large employer and that he makes things and makes them in PA. This is easily researched and found not to be the truth. I’ll leave it at that. I’m sure he treats his workers that actually are employed by him very well. Let’s act like this poll matters for a minute. He has 33% of the vote after being on the air pretty much alone since January up to 3-4 days before this poll was taken. I could say lets see Wolf’s numbers 3-4 days after he started on the air but we don’t need to get into that. The onerous thing was around 50% of those that were voting for wolf said they were not married to him. He has peaked. You can’t not peak after being alone for two+ months. He also has zero important endorsements and McCord enjoys by far the broadest base of support. There is a reason endorsements keep coming and aren’t going Wolf’s way. Self-funders success rates in general elections are in the single digits. If I’m Corbett I would love to run against Wolf because I have so much to work with. If he wins the primary and isn’t prepared to cut another $10-$20mil check to himself then there is going to be a big problem. I like Tom Wolf and believe he is a good man. The baggage (or how it is spun) is considerable and I’m not sure he can win in the general. Fellow D’s might not go negative but Corbett surely will. If Wolf wins I hope I’m wrong. I do agree that for THIS election cycle the outsider label is probably more appealing to voters. While I’m a big believer in ground-game, it can only take you so far if there is a vast gap in name recognition and momentum. I’m glad to see Rob finally getting some traction, but Wolf’s got more support in this poll than the other candidates combined. For Wolf to lose, he’d have to perform opposite among the “undecided”, and that doesn’t seem very likely. I think numbers will tighten up a bit prior to the election, but at this point, it’s Wolf’s to lose. The reason most candidates don’t speak directly to the camera is that most can’t do it effectively or come off as an honest/trustworthy individual. It’s the toughest thing to do as a candidate for office. I think Wolf will most likely win but Schwartz not McCord will close the gap and make it interesting. Wolf went up early and solidified the voters that McCord needed to win this race. McCord should run again in 2016 and take on Toomey. That would be a race and McCord, in my opinion, is more suited for federal office. He’d be a much better nominee than the admiral. I agree with what some are saying– Wolf has a lot of support but the ground game is what could make or break him. However, I think he will and has run an effective campaign which will only continue to build as time goes on. I firmly believe Wolf is the only candidate who can defeat Corbett, and I believe that McCord is by far the weakest against Corbett. What I find really interesting is the lack of broad support McCord seems to have considering he is the only state-wide elected official in the state and all the endorsements he’s had. Maybe Pennsylvanians are finally tired of Harrisburg insiders. We need an outsider like Wolf! Wolf has the most money and will therefore be the Democrat nominee and so, thanks to the political necrophilia of the state GOP, the next Governor. Anyone who relies upon the Grassroots and for voters to inform themselves on qualifications will quickly find themselves disappointed. Wolf is resonating well with voters because he is a successful business man who treats his employees fairly, has no connection with special interests, is not a career politician, and states his views on issues that are important to every Pennsylvania taxpayer in a clear and positive voice. 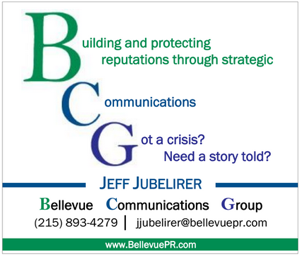 It is time for a new kind of leadership in Harrisburg. Tom Wolf is what Pennsylvania needs as a Governor. 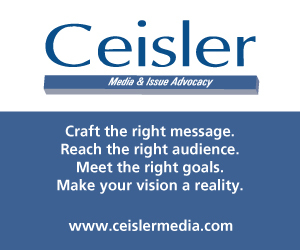 Negative ads work if they are relevant and not seen as a cheap shot. For example bringing up something that happened 20 or more years ago usually doesn’t work. However, Wolf is an unknown and because of that, support for him is a mile wide and an inch thick. It reminds me of Gary Hart’s very fast rise and then Mondale’s effective “where the beef” campaign that turned it around. *THESE ARE* normal numbers for self funders[period] [space] [I]n the end he will lose. [space] [N]o government experience *EXCEPT* agreeing with [R]endell [on raising the sales tax] from 7% to 8%[period] [space] [A]nother tax and spend liberal. This is normal numbers for self funders in the end he will lose.no government experience accept agreeing on raising taxes with rendell from 7% to 8% sales tax another tax and spend liberal. McCord probably stays positive vis a vis his fellow Dems and goes after his real opponent, Corbett. McCords air campaign and his potentially huge ground brigade he has amassed for the May 20 primary leads one to believe that Wolf really is no big challenge if he and his team executives properly. Going negative is not going to work in a race like this, especially after the positive tone that’s been established. McCord’s improvement among the super voters seems like a result of his advertising. Unfortunately, for him, it doesn’t appear as though he’s gaining fast enough to overtake Wolf. McCord’s ad are “good” but they would be better if he were to talk to the camera/voters directly, instead of the style of answering questions to an off-camera interviewer. It’s a subtle point, but I find that when Rob’s ad come on, they don’t immediately grab my attention away from whatever distractions I’m engaged in during commercial breaks. Wolf talks to the camera/voter. Kane used the same style in 2012. It’s effective. Someone will need to go negative toward Wolf if he/she has any chance of winning. It is a gamble though because it could back-fire and he/she will be on the receiving end of a well financed counter-attack by Wolf. The most logical person to go negative is McCord who needs to convert some of those who support Wolf as well as win over undecided voters.